Martini Engine Oil Flush is a fast acting, professional use engine cleaning formulation that removes harmful deposits, sludge and contaminants within the lubrication system. 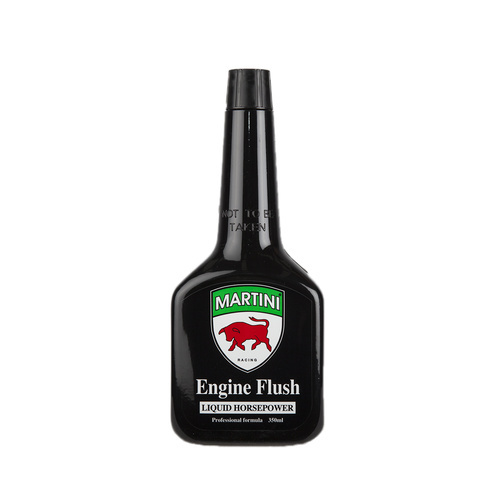 Martini Engine Oil Flush works in 10 minutes. Will not harm gaskets and seals during the cleaning process. Martini Engine Oil Flush is designed for use in all engine types including passenger vehicles, 4WD's, commercial vehicles, and Fleet & Industrial applications. 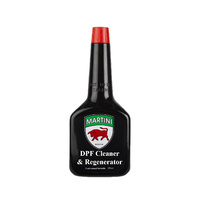 Martini Engine Oil Flush is suitable to use in all petrol, LPG & diesel engines and safe for catalytic converters, DPF's (Diesel Particulate Filters) and engine sensors. Its unique formulation of cleaning agents are designed to clean oil galleries, oil sludge and engine contaminants that effect lubrication of the engine. These contaminants are broken down by Martini Engine Oil Flush and drained away with the oil service. 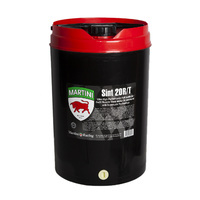 Martini Engine Oil Flush has an application rate of 350ml per 5lt oil capacity. Martini Engine Oil Flush is recommended for use at every oil service to maintain engine efficiency and cleanliness.